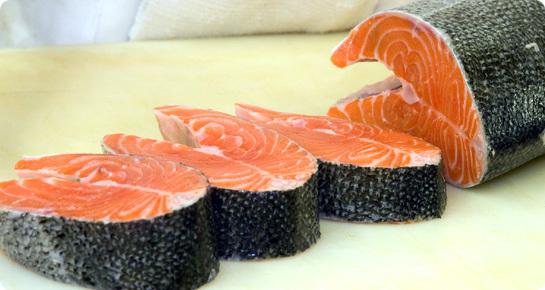 We pride ourselves in offering you the freshest seafood obtainable. Our purveyors deliver seafood fresh daily. 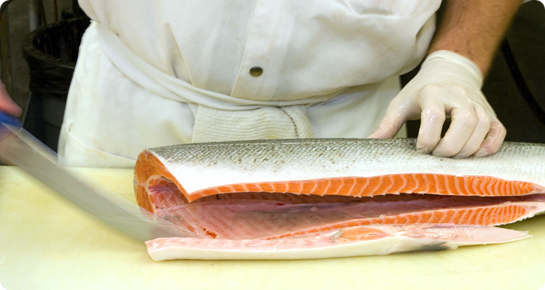 From there our seafood experts trim and fillet each piece for your future dining pleasure. Expect, in season, live soft-shell crabs, fresh Alaskan halibut , and fresh Copper River Salmon. 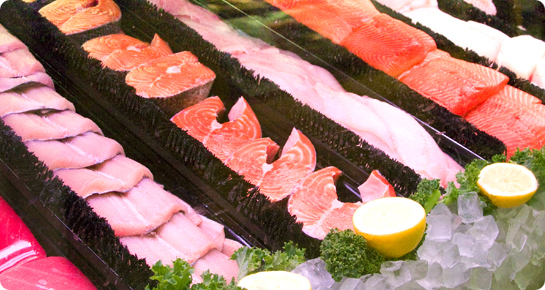 Our full line of seafood includes all of your favorite varieties of fish and shellfish, including sashimi-grade Ahi tuna, jumbo scallops, wild Mexican raw shrimp, and fresh Prince Edward Island Mussels. For an elegant and easy main course, try our ready to bake and serve fresh salmon stuffed with shrimp and fresh spinach or our fresh shrimp and crab stuffed sole. Enjoy either with wedges of fresh lemon and, perhaps, one of our many delicious sauces. Fresh lobsters are available upon request. Please don't hesitate to ask for assistance with special requests of any kind -- we are always happy to assist you.